Along with many of you, I’m something of a bookaholic – occasionally I write here about the latest stash waiting to be devoured (indeed as luck would have it, the previous post was just such a one). You might well have noticed however, that I don’t very often return to review the books I’ve read. 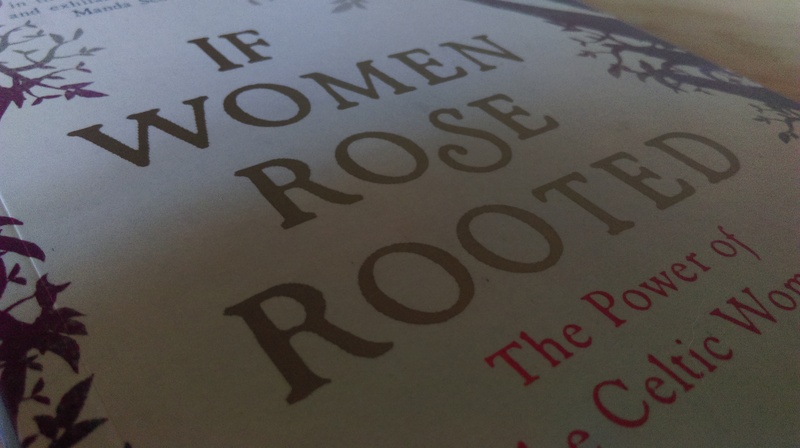 But last week I read ‘If Women Rose Rooted’ by Sharon Blackie and it was one of those rare times when I felt as if by some means of synchronicity, the right book reached me at exactly the right moment. Reading it was such an immersive experience, I’m going to try to talk just a little about the feelings and questions reading it has raised in me. So, if you haven’t read it yourself, this is the weaving together by Sharon Blackie of her story – her history, with the powerful threads of Celtic myth, and a cry for the active re-establishment of the balance between masculine and feminine values and energies for the health of the planet. It is a journey in its fullest sense. But for me it was no passive read. Perhaps because Sharon’s experiences mirror many of my own; the acceptance of a career based on masculine values, the increasing difficulty of riding the gulf between those values and my gut/heart intuition, the sharp sting of a crisis and realisation that change was essential. It would have been a sympathetic read based on that thread alone, but the reason I felt Sharon had written this book for me in particular was the weaving together of the Celtic themes and the importance she places on being rooted in the right place. Both themes which are currently incredibly powerful for me. Like so many of us, I was brought up to know a lot of Classical mythology whilst practically nothing of our native stories. I suspect I thought there wasn’t much to know – how wrong! For a few years now, I’ve been trying to educate myself in this wonderfully rich heritage and it seems that the more I discover, the more there is to find. And these stories are rewarding, they are complex, multi-layered, enigmatic – the food for endless meditation and contemplation. The desire to find my way to these stories came on gradually, but looking back, I can see that it was (and remains) fuelled by an urge which once was buried, then released – the call of the land where I belong. And here is the greatest pain, because unlike Sharon, I still have to make that journey. The need to be rooted in a place that is not where I currently am is strong and I am determined that it will happen, but for now, my own needs have to be balanced with the needs of others – so be it. I am using the time to develop other threads which will come with me when the moment is right. Balance of course is the major issue being addressed in Sharon’s book – how can we as women actively work towards a true balance? I must admit, whilst every atom of my body wants to find that reassertion of the feminine values – as Sharon puts it ‘a determination to nurture rather than destroy’ – I also feel overwhelmed by the size of the task. I have begun to ask myself some of the questions Sharon poses for us in her book, but I don’t yet have the answers. I know this is a quest for us all, there is no magic bullet, but what will my role be? I can’t say. What I know, is that reading Sharon’s book has had a profound effect on how I view my own situation. I feel as if having had a load of random jigsaw pieces in my possession, I’ve now been given the picture of how they fit together. It’s a gift. 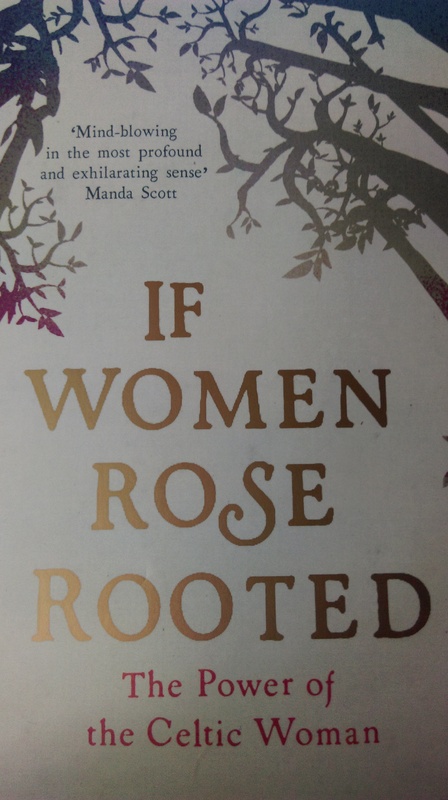 And so if any of this resonates with you too, find your way to reading ‘If Women Rose Rooted’ – savour it, who knows what it might say to you. Since I read If Women… I’ve found myself listening out (mainly on the radio, which I have on a lot of the time while I’m working) – for indications that there is a willingness to stand up for feminine values and I’m mildly encouraged – if not a giant wave, at least some ripples. I hope many others are feeling inspired by Blackie’s work too. You know Phil, I read so many books but generally I’m just left with a feeling about it, good, bad, indifferent, – then just occasionally there’s a book that manages to hook you quite differently – this one was one of those for me. It appears to be making quite a stir amongst women so it would be brilliant to hear more about how it resonates with men too. It is wonderful when something comes into our lives that clarifies and supports our beliefs and ideals and that sheds some light onto the path we feel drawn to follow. From my own experience the path is rarely straight, but you will find your perfect way Annie. Hold on to your dream – it knows where it is going!